After Getting this , I thought why not Giving it a try to Expose some User’s Information. So I simply registered an account in Asana and tried Exposing my own Information. I copied the User ID and pasted it after the Endpoint which I got earlier. Now I’ve got the User ID and the Workspace ID as well. But I didn’t give up there. And Something that caught my Attention was that, in the Asana app there was an Option to Invite other users to your Team. 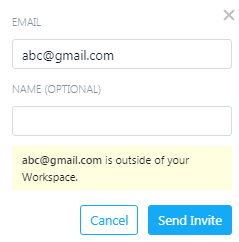 So I Created another account in Asana and sent the invitation to that account. I was Amazed after getting the Responce. I got 2 User IDs and 2 Names of Different Users this time. So I went a step ahead to see if the Information of the Invited User Could be Disclosed Now. So I repeated the Whole Process again. But this time I was thinking a bit Different. 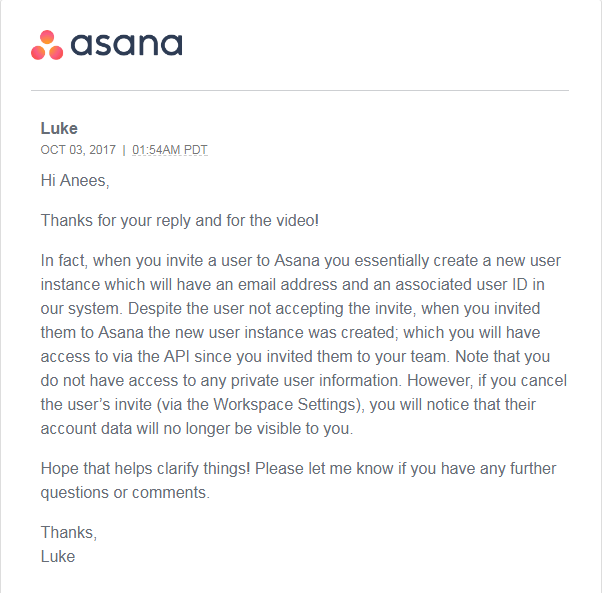 I thought, How would it be, If I send an Invitation to any Asana user and he/she does not accept it.Would it be possible to get his/her Information? So I Created 2 different accounts and sent invitation from account 1 to account 2. But I didn’t accept the Invitation from account 2 and simply deleted the invitation message. I was able to see the Details of the Invited User. I was really Happy that it worked. So I reported it to the Company again. I was Shocked that they Didn’t consider it a Vulnerability. But I was Happy that I learnt Something New. The Purpose of this Writeup is just to share knowledge. There are a lot of sites which accepts such reports. But this Depends on Luck. Special Thanks to All the Leets who Shares. So Thank you Guys for Reading this Writeup. If you Enjoyed it, share it with your Friends.